Need tools for Diabetes Management? PREDICT CVD Diabetes is a fully featured electronic clinical decision support module which creates patient tailored clinical management plans. Used for over 500,000 patients, backed by a world leading University, and NZ’s Heart Foundation. Want to increase patient engagement? 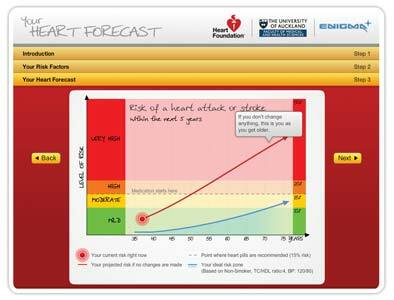 PREDICT comes with highly visual tools to help to drive patient engagement and understanding, such as Your Heart Forecast.Created with internationally recognised partners; NZ Heart Foundation and the University of Auckland. Getting ready to fund service provision? Need help with Chronic Care Programmes? PREDICT provides a structured approach to Chronic Care management for your patients. It drives consistency by delivering evidence based management plans for all patients. Enigma was thrilled to be at the IHIC conference in Melbourne this year, it was great to catch up with so many of you. We’re grateful for the time which you spent talking to us, checking out our exciting range of products for Primary and Secondary Care. The IHIC conference is an excellent event for sharing thoughts and ideas particularly for Primary Healthcare workers striving to achieve improvements in quality outcomes and care delivery for patients. Enigma has been in this space, along-side primary healthcare partners for the past 18 years and has delivered innovative, quality products to the doctor’s desktop, always with a keen focus on improving the quality and consistency of care delivered to patients through the use of our supporting tools. We are very pleased to be able to offer IHIC delegates some FREE TRIALS of two of these software solutions for use in General Practice, or in specialist secondary care settings. Please see below for more details. 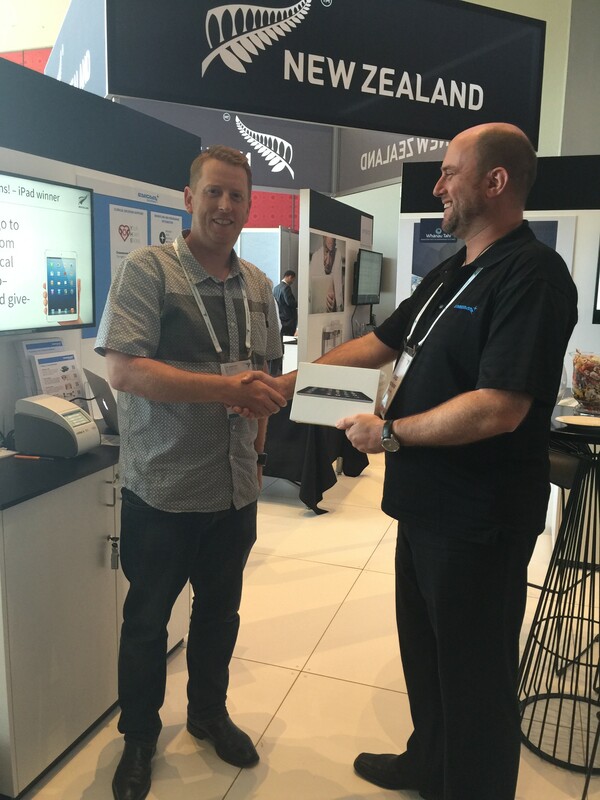 iPad draw presentation at IHIC Conference 2015 – Our lucky winner, Durham Green. For IHIC delegates, we’re offering a free three month trial period for Your Heart Forecast, followed by a discounted ongoing subscription rate which isn’t normally available to others: AU$40 for 25 uses over three months. Try it with no obligation to continue with this service, if you don’t see the value in this highly engaging tool, simply cancel your subscription before the end of the first quarter. If you’re a Primary Health Network looking for a structured programme of care to improve the management of Diabetes (and CVD Risk for your non-diabetic patients), then PREDICT CVD Diabetes may be the tool for you. We’re offering free trials for practices associated with PHN primary care programmes. Durations of these trials will vary but can be for up to 3 months each. This should allow sufficient time for practice staff to become properly familiar with the tools and to help the PHN to understand how it can be used within a structured approach to improve outcomes and management quality for patients.